Jactionary: October 27th - Book Releases Out Today! October 27th - Book Releases Out Today! Fellow book lovers, it's a good week to be a reader: all of these titles hit bookshelves today. Check them out and let me know what you think! "Down the rabbit-hole, where adventures await..."
Confession: I have never read a Gregory Maguire novel. To be more accurate, I have never finished a Gregory Maguire novel. I started Wicked and quickly stopped. I love the musical adaptation and I am a big fan of retelling fairy tales (when done well), so one would think I have read everything Maguire has written when I have not. I am, however, really intrigued by the premise of his latest novel, After Alice. 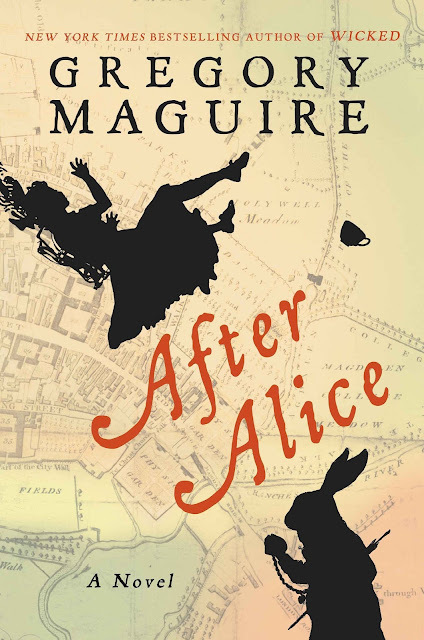 Maguire bases his novel on the concept of Ada following Alice down the rabbit-hole and enjoying an adventure in Wonderland all her own. If you have ever actually read Alice's Adventures in Wonderland and paid any sort of attention to Carroll's rendering of Alice and the corresponding original illustrations, Alice is having a terrible time. The idea of sending another child down the fictional rabbit-hole and seeing if they fare the same way sounds interesting. I do hope that Maguire does not attempt to mimic Carroll's voice and style but tells it in his own way. If you read After Alice, let me know what you think for better or for worse. I want to know if his novels are worth giving another try. 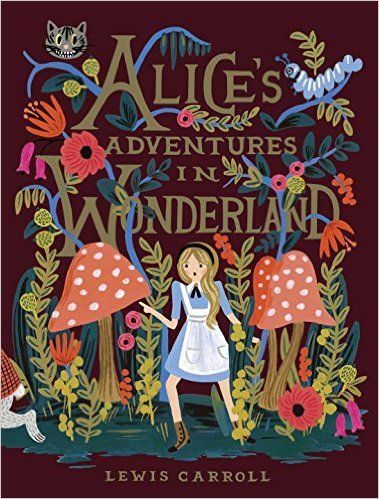 In case you weren't aware, this year marks the 150th anniversary of the publication of Lewis Carroll's beloved children's book Alice's Adventures in Wonderland. Publishers and museums all over the world have been hosting special events to honor the story. In keeping with this theme, Puffin books is releasing a reillustrated edition of the book. Puffin in Bloom has been releasing these beautiful hardback editions for a few years now, all featuring Anna Bond's signature style illustrated covers (I own the Anne of Green Gables edition and there are also Heidi, Little Women, and A Little Princess volumes). These lovely editions make fantastic gifts. Just in time for Halloween, Daniel Wallace has put together a megafan's guide to the filming of the much beloved cult classic Ghostbusters. 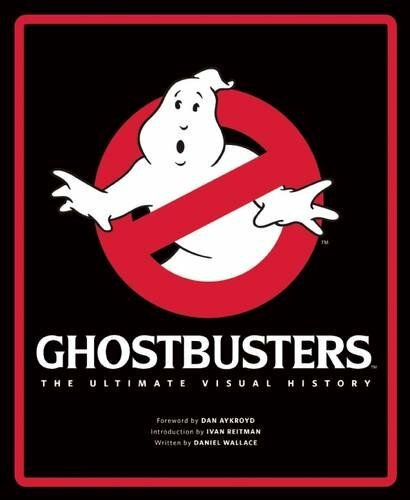 If you're a fan of Billy Murray, Ivan Reitman, Sigourney Weaver, Dan Aykroyd, or Slimer (and who isn't?) you really can't go wrong with this one. 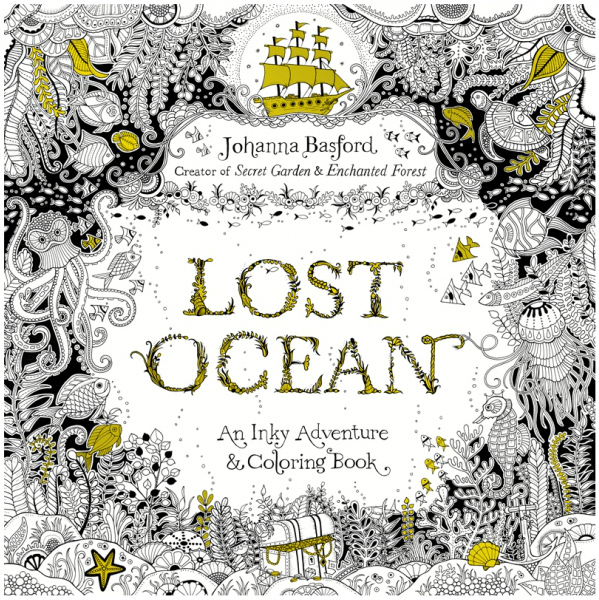 Basford is the best-selling artist behind the adult coloring books Secret Garden and Enchanted Forest. Her illustrations are detailed and intricate and I love how they invite more daydreaming and imagination than in some of the other competitor publications. This book features underwater scenes including seaweed, fish, mermaids, octopus, shipwrecks, coral reefs, and all of the spoils within treasure chests at the bottom of the sea. Grab your colored pencils and enjoy! The ninth installment in the Becky Bloomwood Brandon series follows the infamous fashionista on an American cross-country road trip to find her missing father. 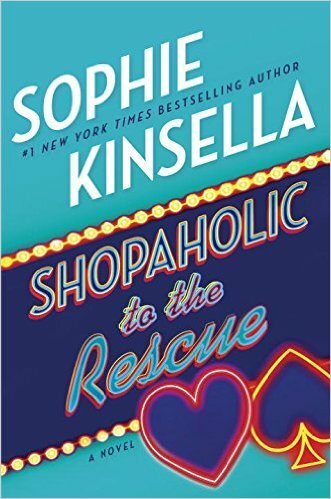 Though the premise sounds serious, knowing Kinsella's style, the book is sure to be full of humor, mischief, and misunderstanding. I haven't kept up with the series since either book six or book seven (I cannot remember which), but I always enjoyed these as funny, fast, and light reads. I did recently read her YA novel Finding Audrey and really enjoyed it (book review forthcoming). 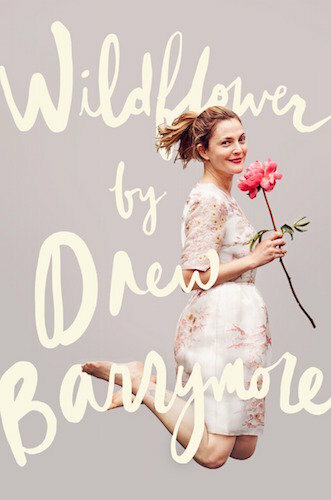 Wildflower is actor Drew Barrymore's third book, following Little Lost Girl (1990) and the photography collection Find It In Everything (2014). In this second memoir, Barrymore recounts her infamous teenage years that she'd yet to experience when she published her first memoir at age fourteen. Following her childhood of alcohol and drug addiction, Barrymore's stories of her teens detail her relationship with her father, living on her own before being old enough to have a driver's permit, and other experiences and life lessons she learned along the way. Admired for her happy and positive outlook on life, her memoir should be an insightful look at overcoming hardship, pain, and tragedy. Schiff received the Pulitzer Prize for Vera, her 1999 biography of Mrs. Vladimir Nabokov. In 2011 she released Cleopatra: A Life and now tackles the infamous mystery, panic, and speculation surrounding the Salem witch trials. 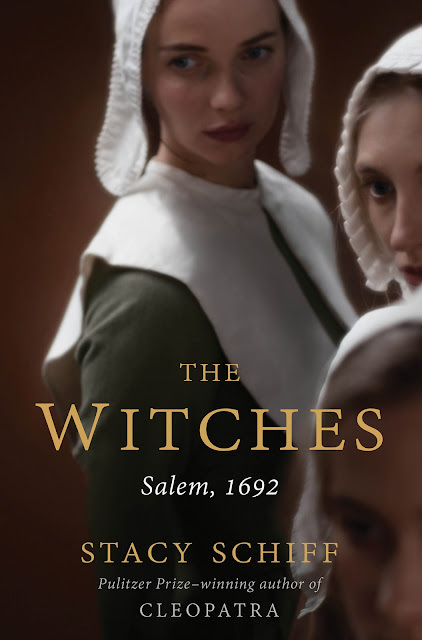 I've studied a fair amount about this era in Massachusetts history as part of a graduate seminar I took titled "Saints, Witches, and Madwomen" (yes, it was as unbelievably fantastic as it sounds). That being said, I'm really interested to see how Schiff details the panic and hysteria surrounding these accusations, trials, and hangings.